The Hidden Room is filled with treasure gathered from over five decades of some of the best poetry ever written in Canada. 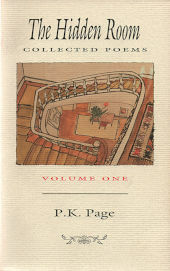 Almost all of the poetry P. K. Page has published in volume form is here, all the way from Unit of Five (1944) to Hologram (1994), together with a good many unpublished poems and poems hitherto published only in magazines, from all stages of her career. A section of luminous new poems completes the volume. Evening Dance of the Grey Flies and Hologram appear substantially as first published, though virtually every other section has undergone thoughtful reassessment by the author with the assistance of editor Stan Dragland. The Hidden Room is something more than simply a mechanical Collected. The inclusion of uncollected and new poems has demanded a re-choreographing, a reassortment of familiar poems into new families. The Hidden Room is quite possibly the best collection of verse ever published in this country. 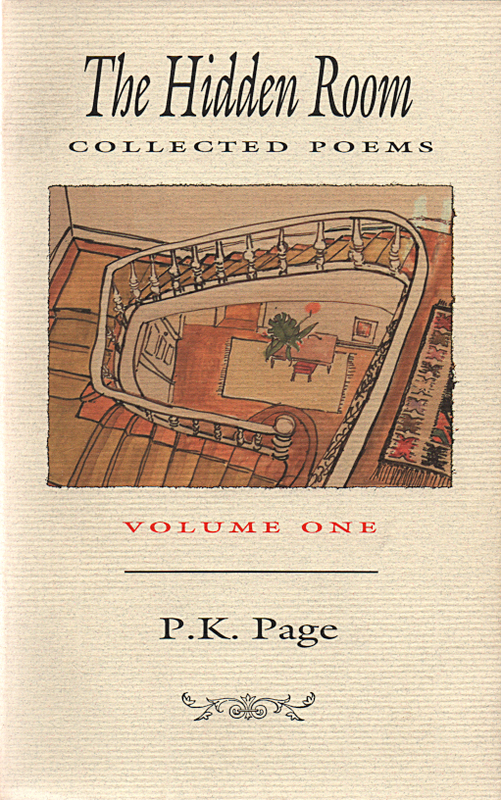 This is the essential, rather than the entire P. K. Page, a lifetime of work that any poet would be proud to call their own. ‘If not ‘‘a shilling life’’, a glance at Who’s Who in Canada will give you all the facts. Which are more than impressive. 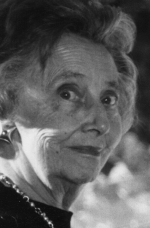 P K Page, born in 1916 and very much with us is, in brief, a phenomenon; a force majeur in Canadian literary and artistic life; a National Treasure. Her work to date, sprung from the praiseworthy ambition of the lavishly gifted, bestows upon us rich decades of protean accomplishment, of widespread honour and renown. Let us however concern ourselves here with the essential fictions -- with the beginning in delight and ending in wisdom, as Frost has it, of true poems; with this present testament of imaginative, intellectual and spiritual achievement: The Hidden Room: Collected Poems. and the hands keep on moving, smoothing the holy surfaces.